Hi. This is Alan (contact: email). 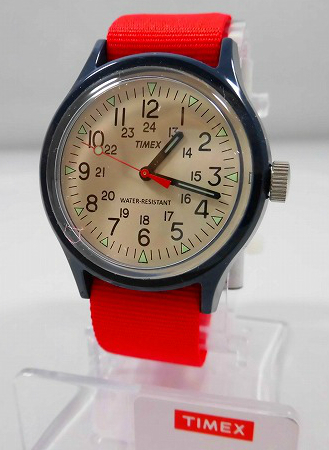 Here is a really stunning looking ivory dial Camper from the impressive "TIMEX design house" that is TIMEX Japan. 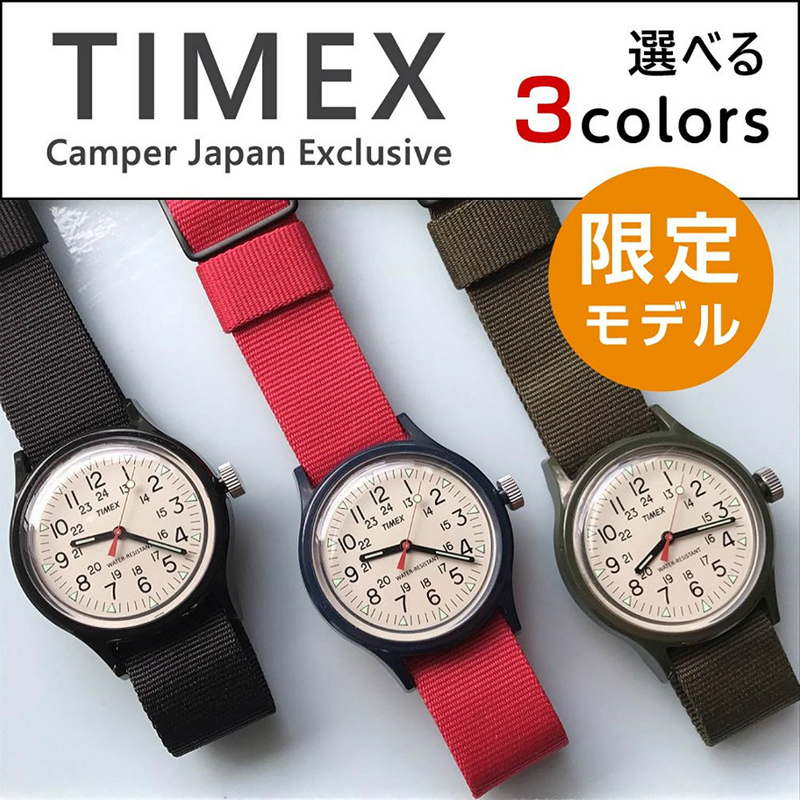 It was released in Japan on December 13th, 2017, retailed for 8,300 yen, and was released along with two over ivory Campers, one with black case, and another with green case, each with different bands. 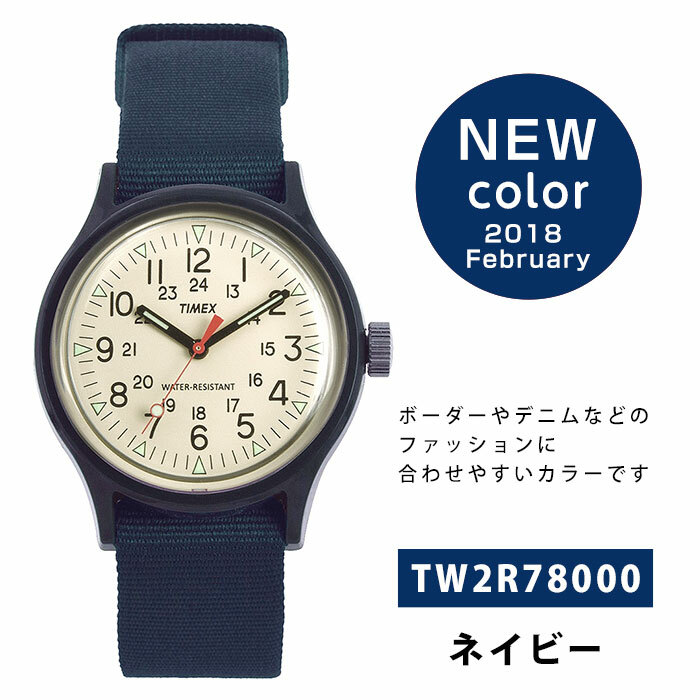 Then in Februrary 2018, a blue case ivory Camper with a blue strap was released. More on this below. 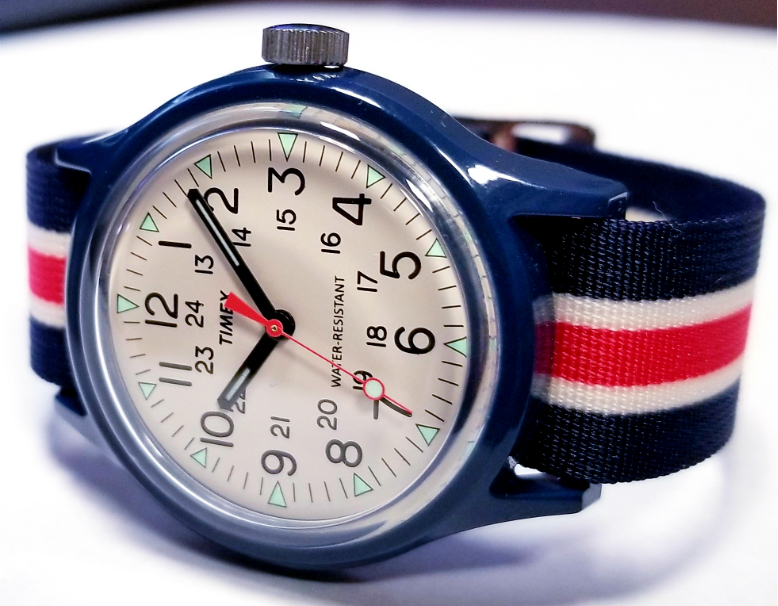 NEW: See far below, pics of this watch with a vintage striped strap! 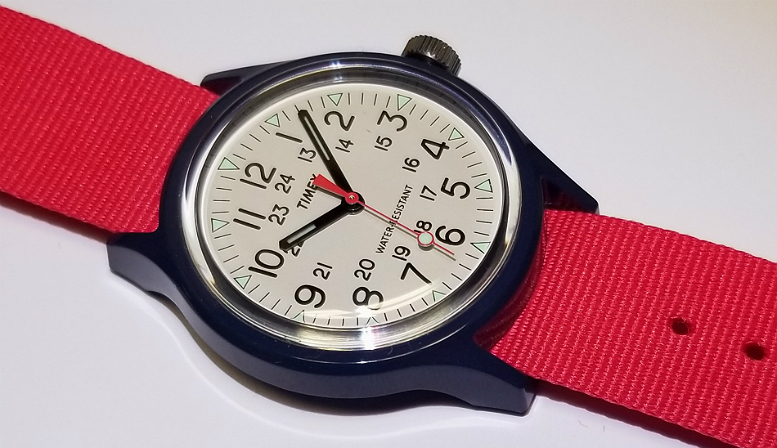 Then, to continue the color variation in a most delightful way, the case is navy blue, and the strap is a brilliant reddish color, not quite fire-engine red, maybe a little bit of pink, but not much. The resulting complementary contrasts makes for a really stunning appearance, to me. 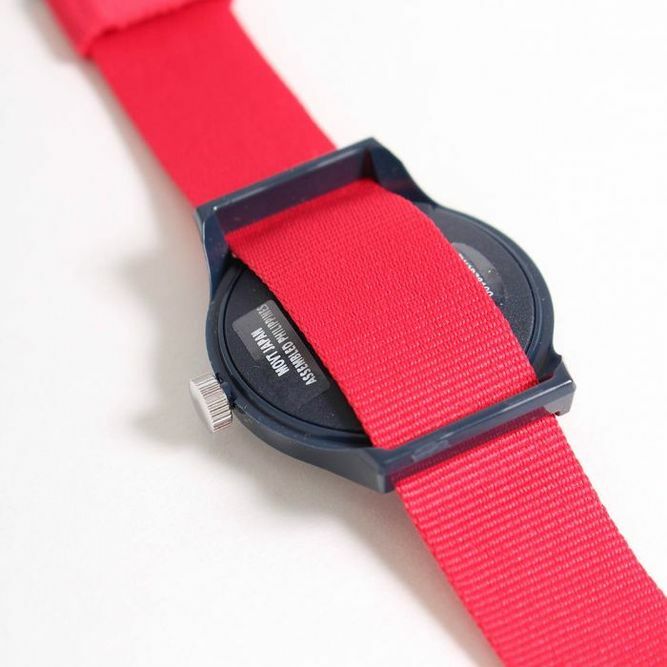 Single piece strap pulls through the solid lugs of the Camper. 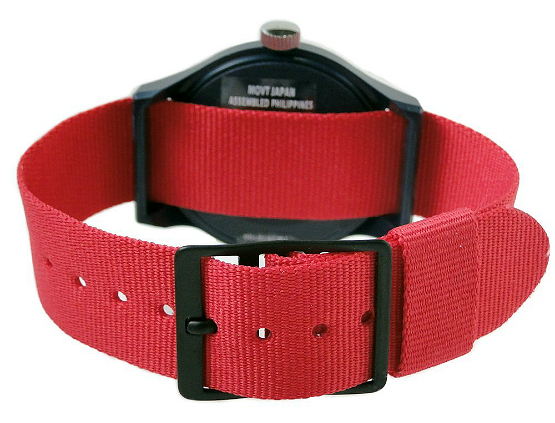 Steel metal buckle, in black. A loop "stay" keeps the free end from snagging on things, and is a very helpful addition. 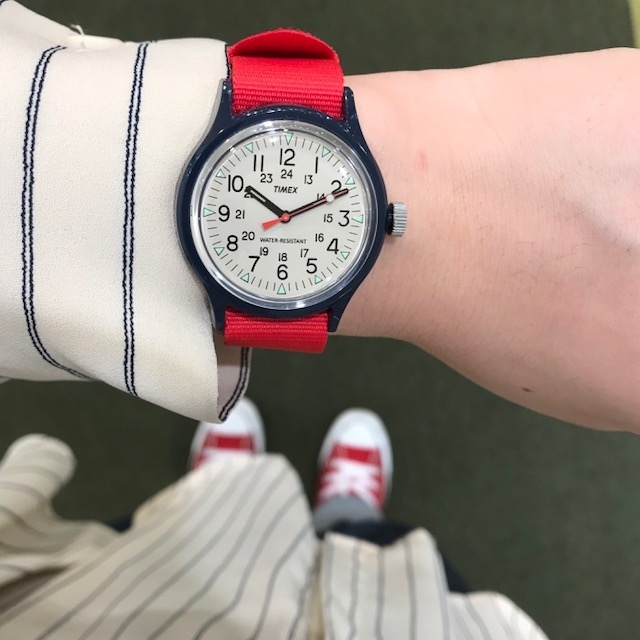 NEW: See below, pics of watch with vintage striped strap! 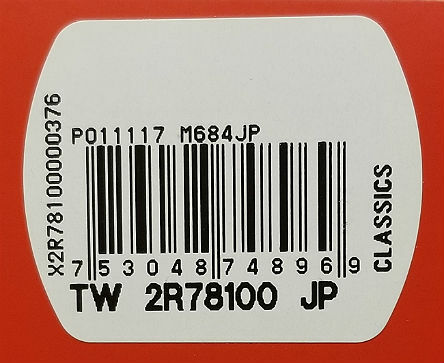 Box sticker with all the usual product details. 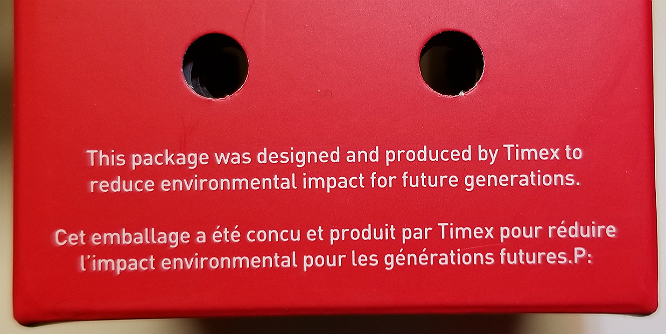 Another part of the box, below, including some information about reducing environmental impact. The text of several sales sites, which all had identical copy. 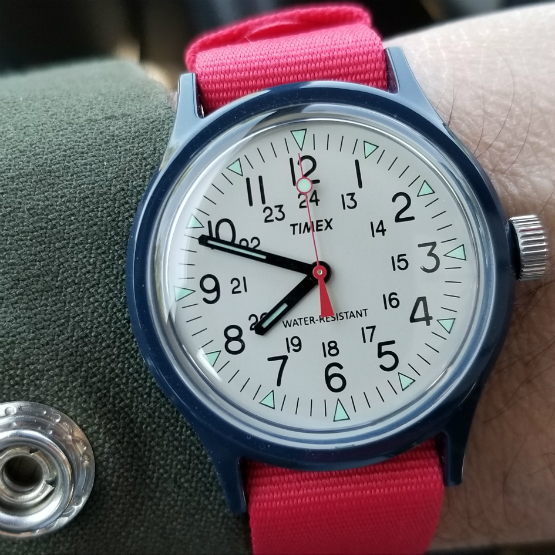 It really was a great idea to make the dial ivory color, instead of white. To me, the ivory makes all the difference. A fourth ivory Camper came out in February 2018, about three months after the original three. 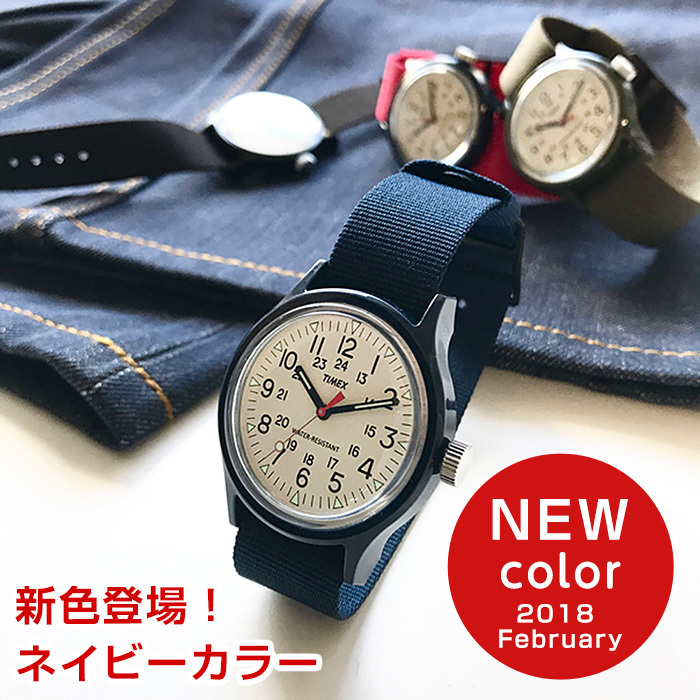 I like how one of the promo pics show all four watches in the background of jeans. Gives this a more fun and casual, and less "serious" feeling. 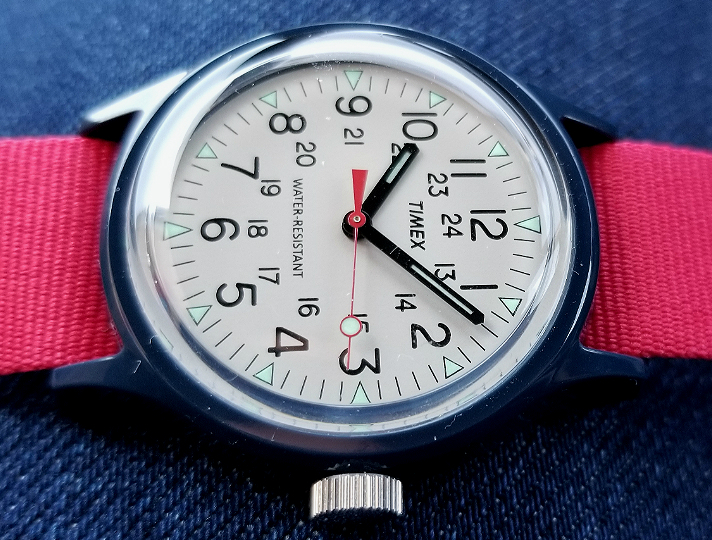 Not my watch, but photo from a sales site, showing the original retail tag. 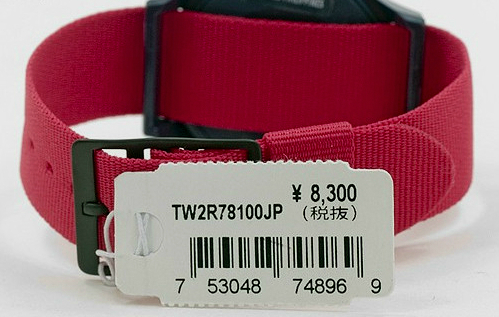 8,300 yen retail. 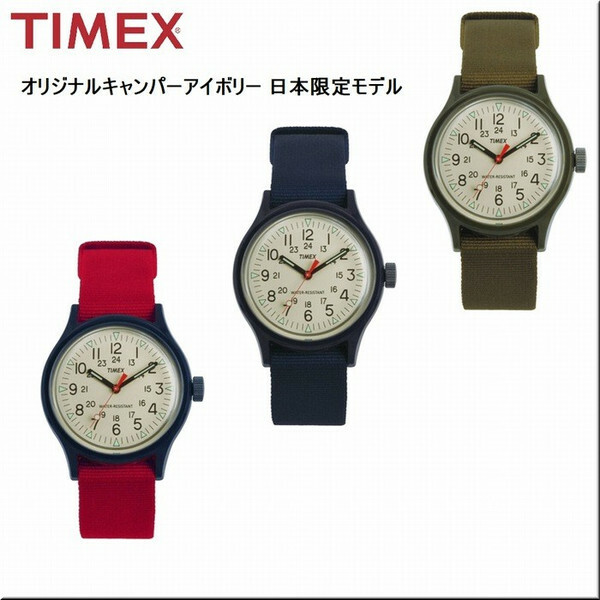 In fact, TicTAC seems to be promoting this watch for springtime. 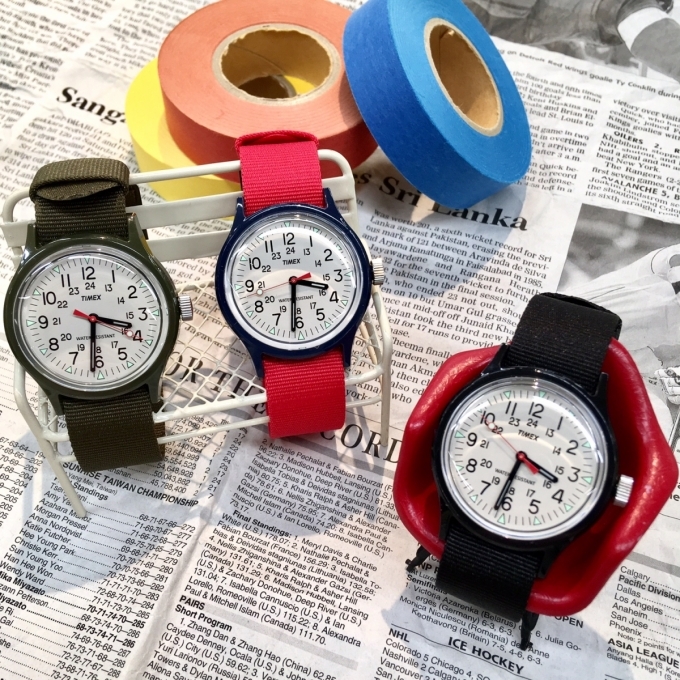 At the writing of this review, several TicTAC stores are encouraging the line of the four watches, for spring. 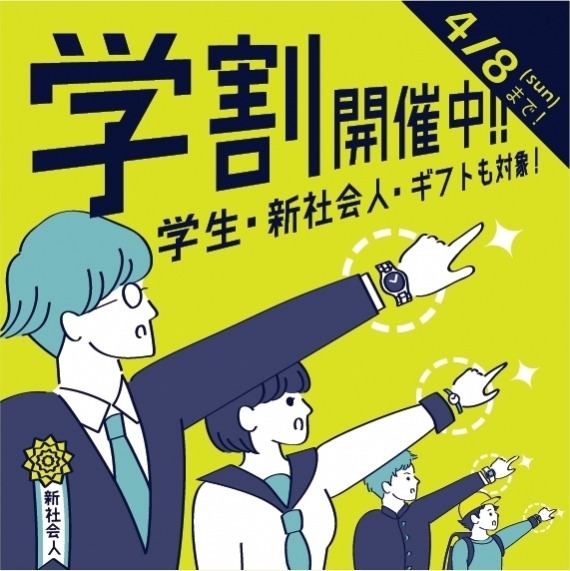 (link, link, link). 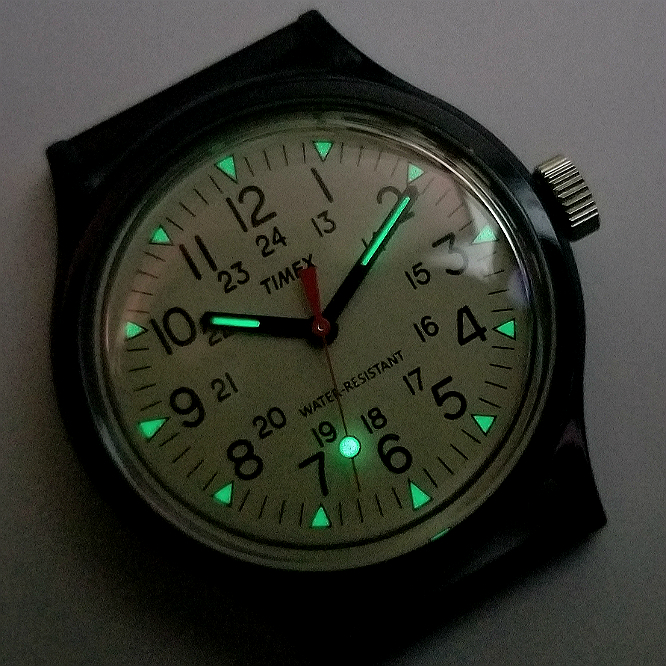 Couple of fun pics from those TicTAC links. 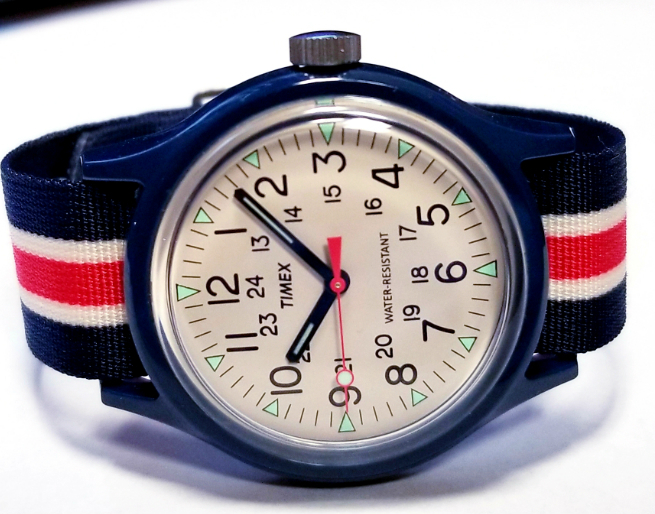 Take a look at the above movement. 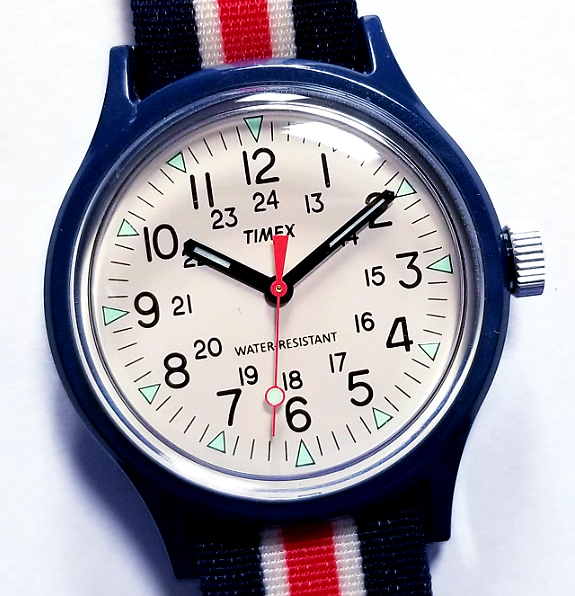 It is from a different watch, the blue version of the collaboration "reverse-dial" Camper from TIMEX x Engineered Garments x BEAMS (the watch pictured below, on left). 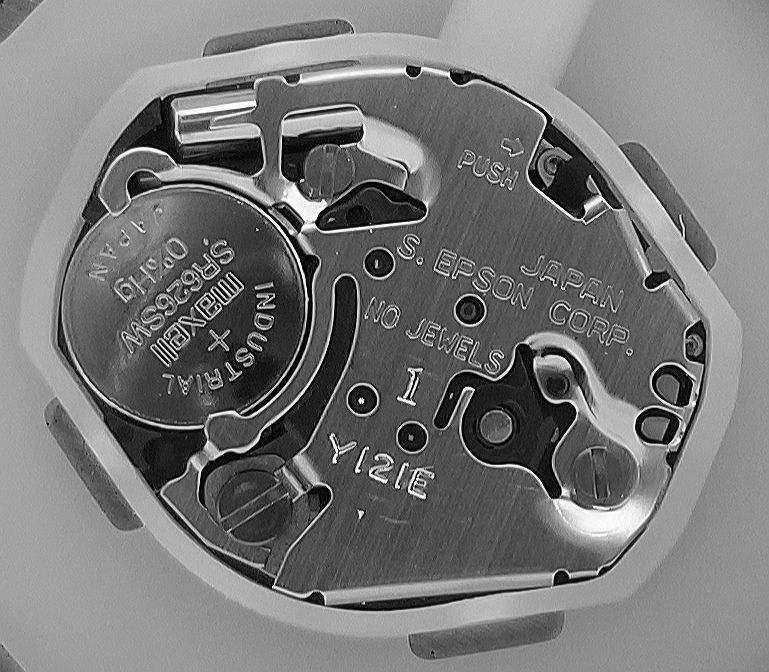 It is the Y121E caliber from "S.Epson," which is essentially a Seiko quartz movement. 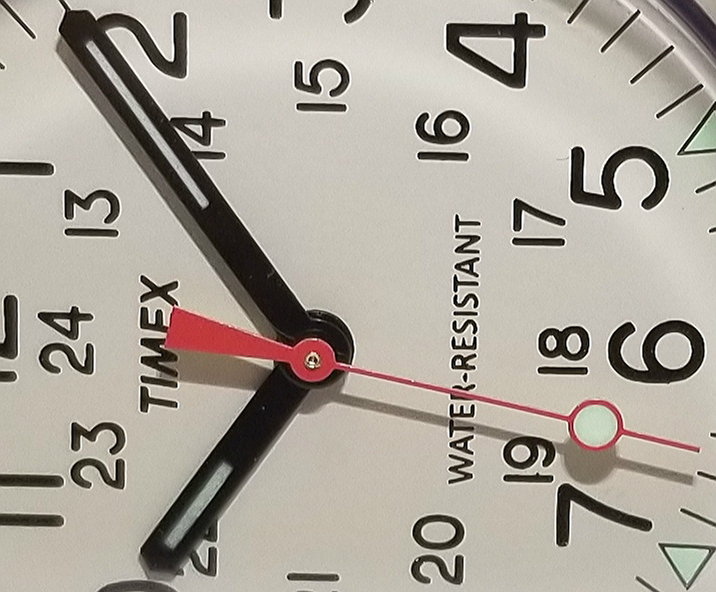 Notice that the 2016 watch has ORIGIN CHINA engraved on the back, while this more recent ivory dial watch on the right (Dec. 2017) has MOVEMENT JAPAN. 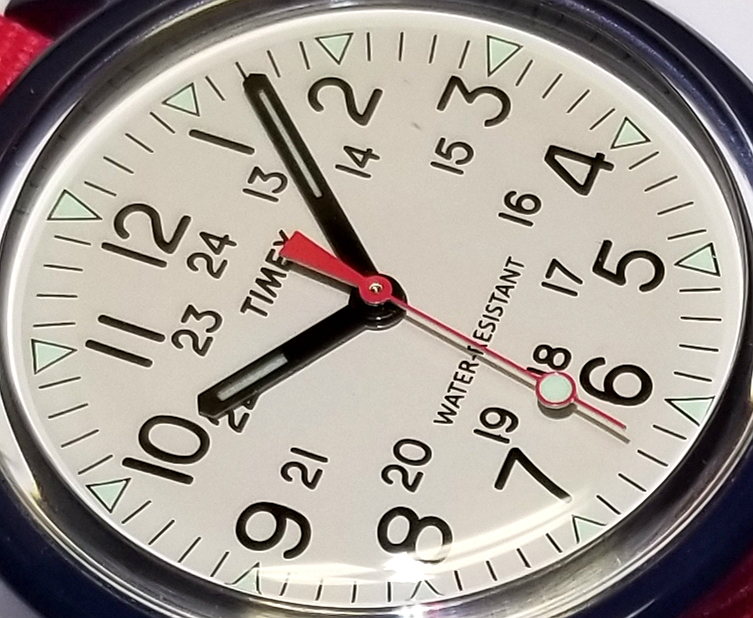 There was also a removable sticker on the ivory dial Camper that said MVT JAPAN ASSEMBLED IN PHILIPPINES. 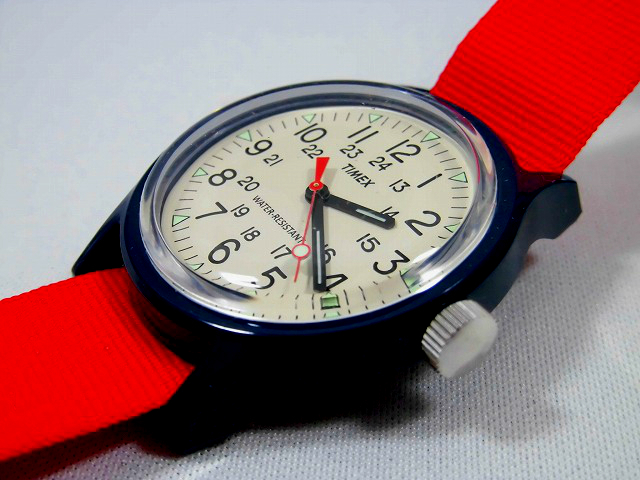 I am assuming that ORIGIN CHINA means that it was assembled in China, with the above pictured Japanese (Seiko) movement. 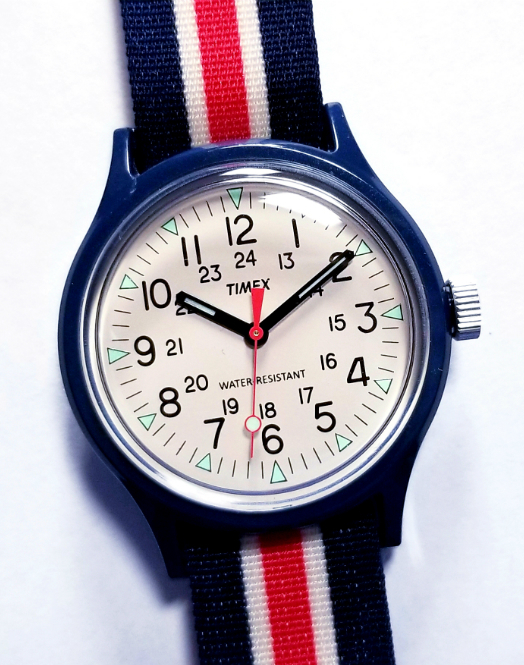 TIMEX almost certainly must make their own movements, for the millions of watches they must make and sell worldwide every year; maybe they do buy a certain percentage of their movements from suppliers. 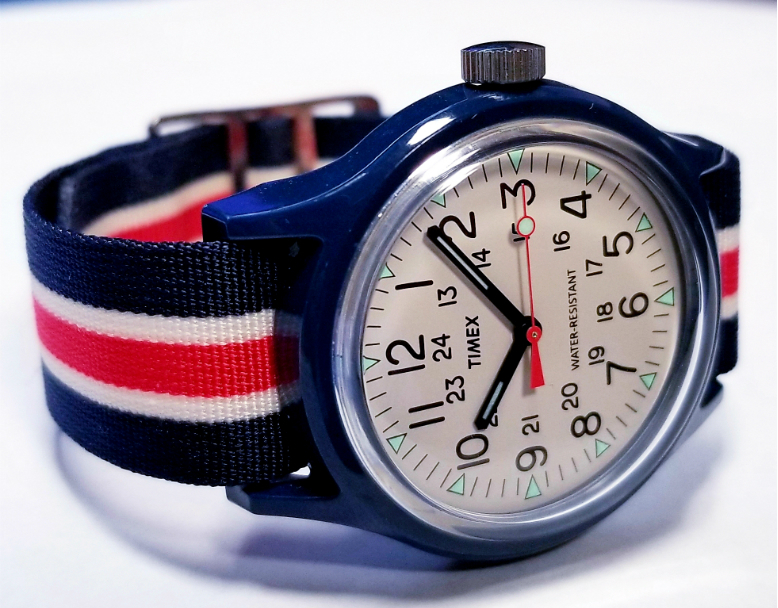 But anyway, I think it's pretty cool that in these Japan-exclusive TIMEX watches, they source a Japan-made movement, from none other than the mighty Seiko. Thanks for reading this review. I hope that you will like it.